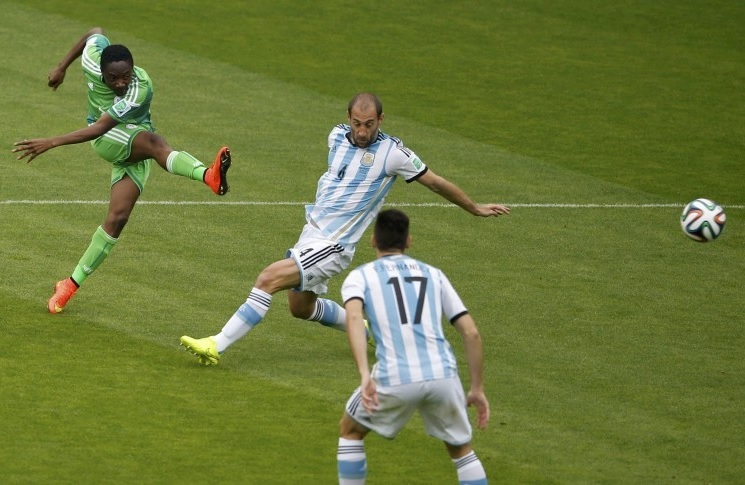 Pablo Zabaleta playing for Argentina vs. Nigeria at the 2014 FIFA World Cup. We are just 39 days until the start of the FIFA World Cup and in 39th place we have Pablo ZABALETA playing in his 39th match for Argentina, a 1-0 win against Iran at the 2014 FIFA World Cup. After having picked-up a 2-1 win against Bosnia-Herzegovina in their first match at the 2014 FIFA World Cup and a 1-0 win against Iran in the second game, Alejandro SABELLA’s men were up against a very familiar opponent. For the second consecutive World Cup, Argentina were pit in the same group as Nigeria. This time around, the match had many goals. 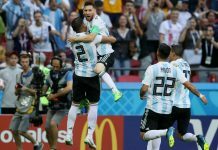 Lionel MESSI opened the scoring in the third minute, Ahmed MUSA equalised a minute later, at the stroke of half time in injury time, Lionel MESSI added to his World Cup tally scoring a fantastic free kick. Two minutes into the second half, Ahmed MUSA scored once more and three minutes after that, Marcos ROJO finally put an end to the goals in the match as he scored the winner in a 3-2 win. For Pablo ZABALETA, it wasn’t his best of matches, having struggled against the speedy Nigerian players. However, ZABALETA’s team mates were able to make sure that his 39th match with his country was a memorable victory. OMG masche is a bad move. He is clearly over at this level. & Who is our RB backup to mercado?? report saying centurion mayb picked over meza.1 goalie out of guzman and armani.1 dm out of enzo perez,kranevitter,pizzaro. though i dont believe this is true its all speculation. What would happen if Otamendi or Fazio would be injured? They are not considering paredes at all…one thing is sure that if masche is picked as a defender there is room for kran/enzo/pizzaro/battaglia…..
Report says that centurion>perrotti>meza which will be a big surprize…. But i dont think so…there will be a back up for banega as paredes/ enzo to grab the above spot…. Will be our starting midfield with messi and aguero/hig …..
With the exception of Pavon, it is a squad Martino or Bauza would have picked. Mascherano and Rojo are way beyond their best, Biglia and Aguero are still injured, Acuna is not a true RB. 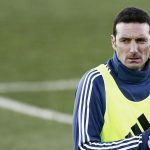 Suspensions for either Fazio or Otamendi will mean elimination. Dang. Even in this game, Huigain missed a sitter. I guess he was always like that. Worst is he do not redeem at all. Usually big players after missing easy chances, they redeem but not Hugain. Ronaldo also missed lot of sitters today but he scored one. Suarez too but i guess only Messi do not miss too many chances. If Messi is fit, I can totally see argentina challenging any team. However Sampoali should manage Messi properly. 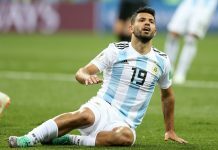 He should be given rest in all games particuraly in group stages if Argen. are up by 2 or 3 goals. Fit Messi will destroy any team. Just watch Ramos and Casimero being destroyed(supposedly best defender by UEFA or Ronaldo for that matter). It is better to play him as false 9 between two speedy wingers/forwards example pavon, j correa, angel correa etc. He is the best goalscorer we have. 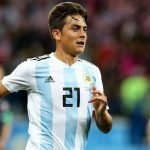 we have enough technical players example lanzini, lo celso who can supply to him. Messi needs to trust them and limit his constant dropping deep and looking for the ball. it all depends on sampaoli. Lot of the match, Messi was playing from deep. While he still creates from there, to maximize Messi impact, Our strategy shld be to play him more upfront. For that the midfield has to own the pitch. That’s what gives Ronaldo more time upfront compared to Messi in club level. True. I have been saying that for long time. Use Messi closer to goal where he have excellent brust and dont have to sprint too much. If you look at his goal vs Real Madrid, he was closer to goal and was not dribbling all the way from the back. Ramos and Casimero paniched when Messi got the ball from Suarez, they are rated best in their respective positions. Sampoali need to utilize that. Messi dropping deep will cause both Arg. and Barca problem. Pep brilliantly utilize it but none other barca and arg. coach utilized it. IF barca sign Gerizemann, i see messi dropping even more deep and penaldo get all credits by scoring tapins. Barca screwed Messi. Relying on Huigain or Augero will be our downfall. Messi needs to play closer to goal that is all. If not, Argentina’s chances decrese significantly. Messi is probably the most efficient scorer in the history of football. I agree that Argentina should only try to play for 90 min. That will save energy of our players. Banega would easily improve this Barcelona midfield..This current Barcelona midfield is lethargic. I think Roma did Barcelona a favor by eliminating them because Liverpool would have embarrass them home and away. Banega dominated Bayern Munich in midfield at the Alianz Arena, the same Bayern Munich team that outclass Real Madrid over both legs in the UCL. This is the same Real Madrid midfield out muscling Barcelona today in the first half. Looking at Banega’s track record its highly unlikely that he will deliver… His inconsistency is the reason our midfield is slow 🐌 weak and mediocre. 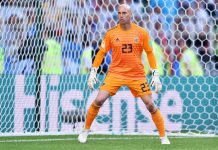 Hope he proves me wrong in the WC. I will be the happiest if he does!! You talk a lot man! Let’s look at the games played this season that are more compatible to world cup games? This season Sevilla played Liverpool (twice), Man United (twice) and Bayern Munich (twice). Of those six games Sevilla lost only once and that was the home game against Bayern where Banega was suspended, the only game out of the six Sevilla failed to consistently hold onto possession. In five of the six games I listed, Sevilla never lose possession of the overall game except their home game against Bayern Munich where Banega was suspended. All you do is dis and troll the Argentina national team players, it must be a full-time job for you doing this ridicule of the players nonstop. @SulaV, this is so true and you’ve seen him the the way I’ve. He will never ever prove you wrong. Mark my word! Argentina needs real footballers, not these useless ones. You’ve been one of the most negative person on this forum, maybe you need to look in the mirror. Centurion should be selected over Perroti or Dybla.Domestic league has some talented players.Centurion is like J.Correabut with better finishing and dribbling.